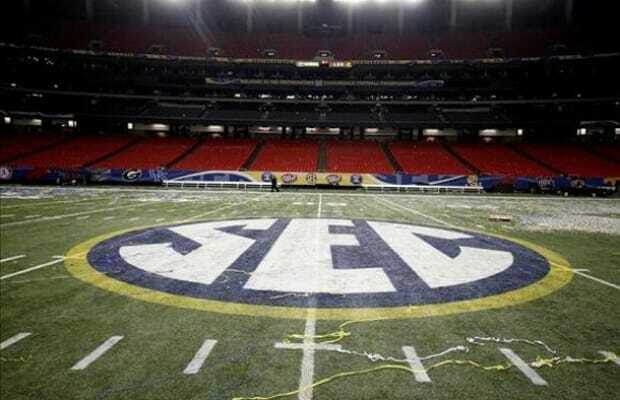 What is it going to take for the other conferences to catch up to the SEC? I don’t know that they are that far off. Things have to fall into place. Take one half of a game last year and Oklahoma State is playing against LSU for the championship and they could have won because of their style of play. Oregon could have been there. Alabama and LSU could knock each other out or lose a game that they shouldn't this year. This could be that year to create an opening for a two-team championship game without an SEC team. Florida State, Oregon, USC, and Michigan State are not that far off, it’s just that the SEC depth is incredible. Look at Alabama: for them to lose 10 starters and still be considered a national contender is a testament to that.